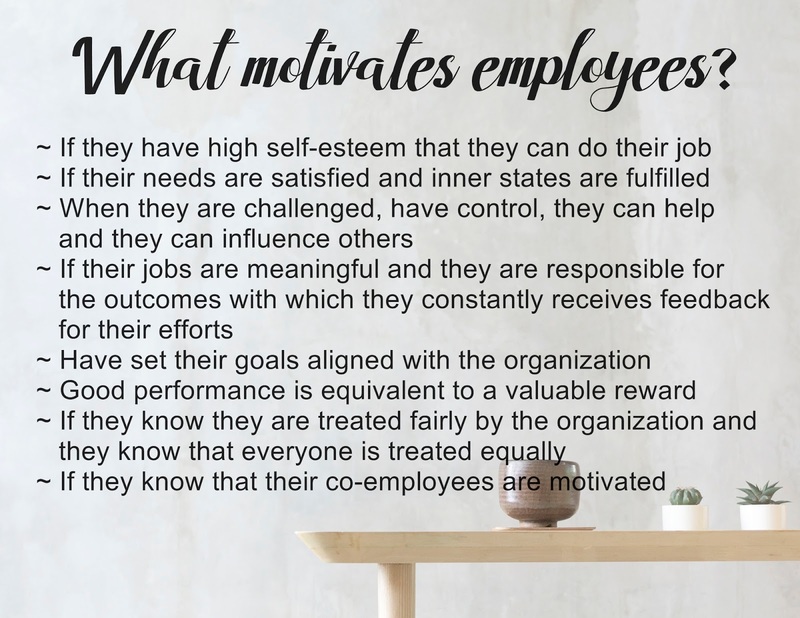 What motivates an employee in an organization? Have you read this part under Industrial Psychology? I hope, yes. Because this might be included on the BLEPP 2018. 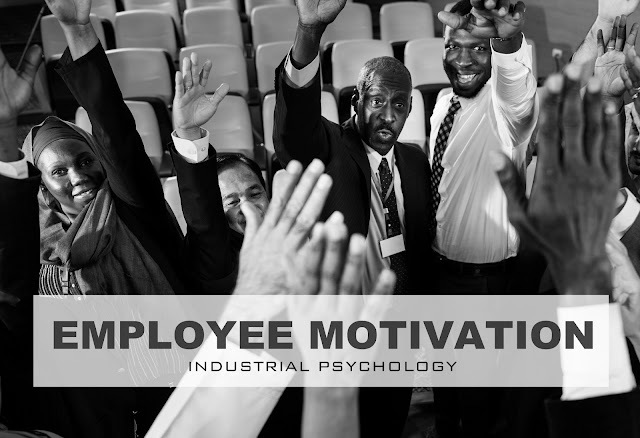 There are different theories about employee motivation. So, if you are looking for additional readings on Motivation, I have listed a couple of links below to help you! After reading my review material, I have realized that employees can be motivated in different ways. What I find motivating may not be motivating for my co-employees. So, I summarized some points that can be useful for your review and for those who are working in the Human Resource field. Employees with high self-esteem usually perceives tasks given to them as a challenge of their skills and abilities. They believe in their own skills and experiences and accepts jobs easily because they know they can do it. While employees with low self-esteem usually refuses to do additional jobs because they fear that they could not do it and they might disappoint their bosses. Employees can be easily motivated by giving them compensation according to the labor standards. If employees work longer hours or assigned to difficult tasks but receives below minimum wage, they would not be motivated to do their jobs. Jobs that requires you to exert more effort, think out of the box or lead a team is more motivating than jobs dealing with computer or paper works. I personally experienced this. When I was working as an Assistant, there came a point that I wanted to quit because I felt like I was confined in a box, that I cannot do anything unless my boss or supervisor advised me. 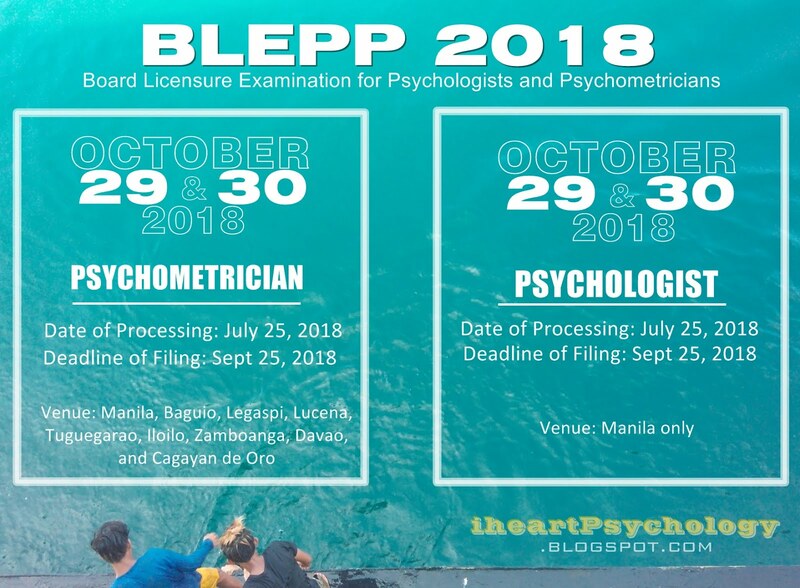 I honestly felt suffocated that time, I told myself that I wanted a job where I could use my brain, I wanted something that's challenging than sourcing and interviewing applicants. And that is where I get my motivation, I always think that I want a better position to challenge my skills so I tend to do and perform at my best. Employees with meaningful and significant jobs are more motivated than those doing clerical works. I am not generalizing but most of the time this is real. If employees feel that the operations of the company is greatly affected by his tasks, he is more motivated because he can feel his impact to the organization. This is also the case if they are in control of the whole tasks and they are the sole responsible for the outcome of the task. Kasi pag iba-ibang employees ang pinagdadaanan ng isang task tapos pumalpak ang output nauuwi sa sisihan and every one is at fault. Employees would feel that they are betrayed by his co-employees and much better kung siya na lang ang gumawa nun task ng mag-isa. 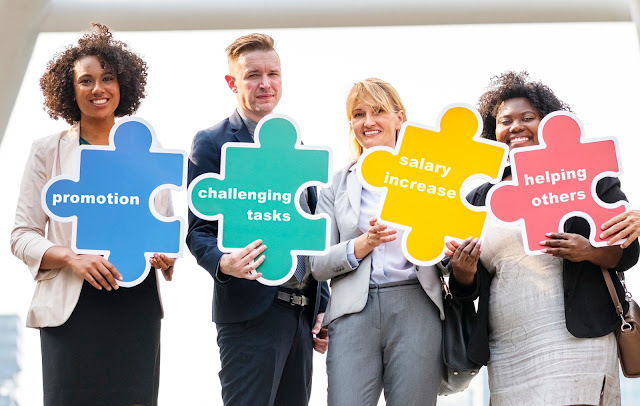 In the end employees will not be motivated to perform better because his work will depend on the contribution of other employees. But this could be balanced out if managers or supervisors constantly give feedback to their subordinates. In that way employees would know if they are doing the tasks correctly or not. Honestly, I seldom observe this to employees. Bihira lang ang magseset ng goals according sa objectives ng company. Employees tend to plan their tasks at their own phase. Minsan may deadlines set pero hindi din nasusunod. 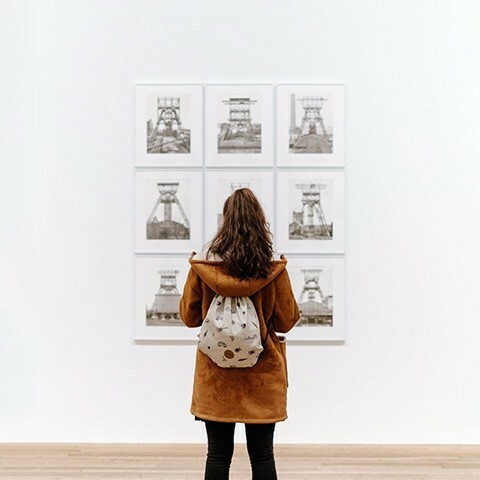 If employees prioritize the goals and schedule of the company they would know where they stand and would be motivated to strive and perform better. Who would not be motivated with a reward? But rewards still loss their sparkle in the long run especially if it is not valuable to the targeted recipients. So, the key is to choose a reward that employees would be happy to receive. Upon understanding this theory, I realized that all employees have the tendency to be jealous of what other employees are receiving or experiencing. This is because we do not experience equity at work. So, employees would only be motivated if they perceive that they are paid fairly and that their co-workers are also being paid according to their performance versus his own. Dito lumalabas ung mga katanungan na "bakit mas mataas ang sahod niya eh parehas lang naman kami ng ginagawa, minsan nga mas madami pa akong natatapos kesa sa kanya?" So, employers should be very careful in treating each employees and maintaining confidentiality of compensation among employees. I remember way back in college that we discussed in sociology about "collective behavior" - resulting from an experience shared by the members of the group that engenders a sense of common interest and identity (Britanicca.com). This theory is somehow related to that in a sense that if you perceive your co-employees to be motivated with their jobs you will also adopt their motivation. Kapag masaya yung mga kasama mo sa trabaho nila more likely makukuha mo at ma-aadapt mo yung pagiging motivated nila sa sarili mong trabaho. I hope I have helped you understand the different theories better based on my own understanding and my experiences at work. Could you guess the Motivational Theories I have mentioned? Good luck to your review guys! Let's ace Industrial/Organizational Psychology.